Kementerian Koperasi dan Usaha Kecil dan Menengah Republik Indonesia - Kemenkop UKM or referred to as "Depkop" is The Ministry of Cooperatives and Small Medium Enterprises of The Republic of Indonesia. 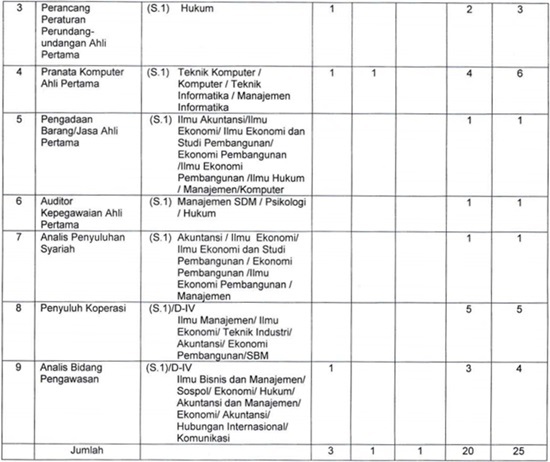 Kemenkop UKM is a ministry in Indonesia which oversees the field of cooperatives and small medium enterprises (SME). Kemenkop UKM has main tasks to assist the President of Republic of Indonesia in formulating policies and policy coordination in the field of Cooperative and Small and Medium Enterprises. Kemenkop UKM was previously known as the State Minister for Cooperatives Small and Medium Enterprises (Indonesian : Kementerian Negara Koperasi dan Usaha Kecil dan Menengah). 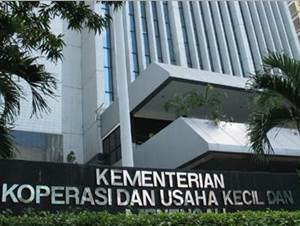 Kemenkop UKM is based in Jakarta and its principal office is located at Jl HR Rasuna Said Kav 3-5 Kuningan Jakarta 12940. Since 27 October 2014, the Ministry was lead by AAGN Puspayoga as the Minister of Cooperatives and Small Medium Enterprises (Menkop & UKM). JobsCDC.com now available on android device. Download now on Google Play here. Please be aware of recruitment fraud. The entire stage of this selection process is free of charge. [CPNS] Kementerian Koperasi dan UKM - 25 Formations CPNS DEPKOP September 2017 will never ask for fees or upfront payments for any purposes during the recruitment process such as transportation and accommodation.